1999: Travis Tomko trained with Hack Myres in Florida and wrestled on the Florida Independent ciruit..
April 2002: Travis Tomko signed a developmental deal with the World Wrestling Federation and is assigned to OVW..
~~~Travis Bain (as he was named) became a member of the faction known as Disciples of Synn..
June 14, 2002 – OVW Six Flags: David Flair defeated Travis Bane by count-out. July 12, 2002 – OVW Six Flags: Travis Bane defeated David Flair. July 18, 2002 – OVW TV: Nick Dinsmore defeated Travis Bane by DQ. September 4, 2002 – OVW TV: Mark Henry and Matt Morgan defeated Seven and Travis Bane. November 2, 2002 – OVW TV: Seven and Travis Bane defeated BJ Payne and Damien. November 16, 2002 – OVW TB: BJ Payne and Leviathan defeated Travis Bane and Seven. December 7, 2002 – OVW TV: Travis Bane and Seven defeated Rob Conway and Charlie Haas. December 14, 2002 – OVW TV: Travis Bane and Seven defeated Mark Magnus and Orlando Jordan. September 25, 2002 – OVW TV Taping: Travis Bain defeats Mark Magnus in a dark match..
February 15, 2003 – OVW: Travis Bane defeated Chris Cage & Jerry Penders in a handicap match..
February 22, 2003 – OVW TV: Seven and Travis Bane defeated Rob Conway and Johnny Jeter. March 5, 2003 – OVW Taping: The Disciples of Synn defeat Rene Dupree & Lance Cade to claim the vacant Tag Team titles..
March 12, 2003 – OVW Taping: The Disciples of Synn (Seven/Bane) defeat Nova & Mark Jindrak to retain..
June 28, 2003–Ohio Valley Wrestling: Seven & Travis Bane defeated Mike Taylor & John Highland. July 25, 2003–OVW Six Flags: Chris Cage & Tank Toaland defeated The Disciples of Synn (Bane & Seven). July 14, 2003 – RAW: John Heidenreich pinned Travis Tomko in a dark match..
August 2, 2003 – OVW TV: OVW Southern tag team champions Chris Cage and Tank Toland defeated Seven and Travis Bane to retain the titles. September 6, 2003 – Velocity: Altar Boy Luke and Mortis defeated Jon Heidenreich and Travis Tomko in a dark match. September 22, 2003 – RAW: Travis Bain defeated Joey Matthews in a dark match..
September 27, 2003 – Velocity: Travis Bane defeated Joey Matthews in a dark match. October 4, 2003 – Velocity: Chad Collyer and Kanyon defeated Kevin Fertig and Travis Tomko in a dark match. October 18, 2003 – OVW TV: John Hennigan and Leviathan defeated Seven and Travis Bane. October 27, 2003 – RAW: Travis Tomko & Kevin Fertig (Travis Bain & Seven) beat Tommy Dreamer & Mikal Yamaha in a dark match..
November 9, 2003 – HEAT: Kevin Fertig and Travsi Tomko defeated Tyson Dux and Mark Bartolucci in a dark match. November 10, 2003 – RAW: Kevin Fertig & Travis Tomko defeated John Walters & Chad Wicks in a “dark” match..
December 20, 2003 – Velocity: Travis Tomko and Kevin Fertig defeated Mideon and Brent Dail in a dark match. January 18, 2004 – HEAT: Lance Storm and Val Venis defeated Travis Tomko and Kevin Fertig in a dark match. January 31, 2004 – OVW TV: Matt Cappotelli defeated Travis Tomko. February 20-22, 2004 – House Show: Garrison Cade and Mark Jindrak defeated Kevin Fertig and Travis Tomko. March 20, 2004 – OVW TV: The Disciples Of Synn (Seven & Travis Bane) vs. The Jersey Shore Crew (Nova & The Idol) ended in a no contest. March 29, 2004 – RAW: Travis Tomko defeated Lamont (Desmond Howard) in a dark match..
April 3, 2004 – OVW TV: The Jersey Shore Crew (Nova & The Idol) defeated The Disciples Of Synn (Seven & Travis Bane) in a street fight. April 17, 2004 – OVW TV: The Jersey Shore Crew (Danny Inferno, Nova & The Idol) defeated The Disciples Of Synn (Seven, Synn & Travis Bane). April 19, 2004 – RAW: Christian beat Chris Jericho after Tyson Tomko (debut) interferes on Christian’s behalf..
May 10, 2004 – RAW: Chris Jericho defeated Christian w/Trish & Tyson by submission in the confines of Steel Cage.. ~~~Christian is giving some time off after suffering injuries during his Cage match on RAW — he’by ll be replaced Tyson Tomko..
May 24, 2004 – RAW: Jericho was distracted by Trish Stratus, then powerbombed through the announce table by Tyson Tomko! May 30, 2004 – HEAT: Trish Stratus w/Tyson Tomko defeated Nidia. May 31, 2004 – RAW: Trish Stratus & Tyson Tomko take over the Highlight Reel, but Jericho makes a surprise appearance! ~~~Jericho was still hurt from the previous week, and ended up getting another beat down from Tyson Tomko..
June 13, 2004 – Bad Blood: Chris Jericho defeated Tyson Tomko w/Trish Stratus in a Grudge Match..
June 14, 2004 – RAW: Matt Hardy & Lita defeated Tyson Tomko & Trish Stratus (Lita pinned Trish)..
July 5, 2004 – RAW in Winnipeg: Tyson Tomko participated in Eugene’s game of “Musical Chairs” won by Chris Jericho..
July 11, 2004 – Vengeance: Tyson Tomko w/Trish Stratus defeated Val Venis w/Nidia in a match shown live on Heat..
~~~After the match, Tyson Tomko threatened Nidia, but Mavan showed up to make the save! July 12, 2004 – RAW: Tyson Tomko w/Trish Stratus defeated Maven w/Nidia..
July 19, 2004 – RAW: Tyson Tomko w/Trish Stratus defeated The Hurricane w/Stacy Keibler..
July 26, 2004 – RAW: Tyson Tomko was in a #1 contenders battle royal for the WWE world heavyweight title won by Randy Orton. August 1, 2004 – HEAT: Tyson Tomko w/Trish Stratus defeated Val Venis. August 29, 2004 – HEAT: Chris Benoit defeated Tyson Tomko w/Trish Stratus. September 12, 2004 – Unforgiven: Tyson Tomko defeated Stevie Richards in the stinker match of the night..
September 13, 2004 – RAW: Shawn Michaels & Chris Jericho defeated Christian & Tyson Tomko..
September 27, 2004 – RAW: Christian & Tyson Tomko beat Shawn Michaels & Chris Jericho (Christian pinned Michaels!). October 4, 2004 – RAW: Shawn Michaels defeated Christian dispite interference by Tyson Tomko..
October 11, 2004 – RAW: Chris Jericho vs Rhyno ended in a NO CONTEST when Christian & Tyson Tomko interfered..
~~~It was turned into a Tag Match, Chris Jericho & Rhyno defeated Christian & Tyson Tomko..
November 8, 2004 – RAW: Shelton Benjamin defeated Tyson Tomko when Christian’s interference backfired..
November 14, 2004 – Survivor Series: Shelton Benjamin defeated Christian w/Tyson Tomko to retain the Intercontinental title..
November 21, 2004 – HEAT: Tyson Tomko defeated The Hurricane. December 13, 2004 – RAW: Maven & Christian & Tomko beat Regal & Eugene & Shelton Benjamin (Maven pinned Shelton)..
January 2, 2005 – HEAT: Tyson Tomko defeated William Regal. February 7, 2005 – RAW in Japan: Randy Orton beat Tyson Tomko but was still suffering from the concussion sustained at Rumble..
February 14, 2005 – RAW: Randy Orton scored the pinfall on Christian dispite repeated interference by Tyson Tomko..
February 21, 2005 – RAW: Kane dominated Tyson Tomko for most of the match and scored the pinfall after a chokeslam from hell! March 7, 2005 – RAW: Kane easily defeated Christian but got knocked in the forehead by Tyson Tomko with the Ladder! March 14, 2005 – RAW: Kane defeated Christian & Tyson Tomko in a Handicap match..
March 21, 2005 – RAW: Chris Benoit defeated Tyson Tomko by tap out Submission..
March 28, 2005 – RAW: Chris Jericho & Chris Benoit & Shelton Benjamin beat Edge & Christian & Tyson Tomko..
April 3, 2005 – Wrestlemania 21: Tyson Tomko was in the dark battle royal won by Booker T.
May 1, 2005 – Backlash: Tyson Tomko defeated Val Venis in a match shown live on HEAT..
May 2, 2005 – RAW: Tyson Tomko defeated Arch Kincaid by Count Out in a match taped for HEAT.. Kane w/Lita defeated Christian w/Tyson Tomko. May 9, 2005 – RAW: Ric Flair defeated Tyson Tomko w/Christian to earn the right to face Christian next week! May 16, 2005 – RAW: Ric Flair, with a small cut on his forehead, pinned Christian with his feet on the ropes! ~~~After the match, Christian & Tyson Tomko assulted Ric Flair until Batista ran down to make the save! June 5, 2005 – HEAT: Tyson Tomko defeated Wavell Starr. June 6, 2005 – RAW: Tyson Tomko took part in the losing end of the anti-ECW Crusaders vs ECW brawl to end the show..
June 12, 2005 – ECW One Night Stand: Christian & Tomko sat in the balcony as part of an anti-ECW crusade led by Eric Bischoff..
June 13, 2005 – RAW: John Cena & Chris Jericho defeated Christian & Tyson Tomko (Jericho turned on Cena after the match!).. June 27, 2005 – RAW: John Cena & Shawn Michaels & Hulk Hogan defeated Chris Jericho & Christian & Tyson Tomko!!! July 11, 2005 – RAW: The Hurricane & Rosey & Viscera defeated The Heart Throbs & Tyson Tomko in a match taped for HEAT..
August 6, 2005 – HEAT: Tyson Tomko defeated Vic Devine. August 8, 2005 – RAW: Tyson Tomko defeated J.P. Parsenage by knockout..
August 22, 2005 – RAW: Tyson Tomko defeated Malik John by knockout (Rene Dupree was scouting for a new tag team partner)..
August 29, 2005 – RAW: Tyson Tomko defeated Rosey w/The Hurricane by knock out..
September 5, 2005 – RAW: Cena & Angle brawled for a few seconds before Tyson Tomko showed up and kicked Cena in the face! ~~~John Cena defeated Tyson Tomko (Angle attacked Cena after the match and Angleslammed him on the steel stage!).. September 12, 2005 – RAW: John Cena defeated Kurt Angle & Tyson Tomko in a Handicap match after pinning Tomko..
September 19, 2005 – RAW: Tyson Tomko defeated Eddie Craven by knockout..
September 30, 2005 – HEAT: Tyson Tomko defeated Tajiri. October 3, 2005 – WWE Homecoming: Shelton Benjamin defeated Tyson Tomko in a dark match..
October 17, 2005 – RAW: Tyson Tomko was in a Taboo Tuesday battle royal won by Kane. October 28, 2005 – HEAT: Tyson Tomko defeated Shawn Raddick. November 1, 2005 – Taboo Tuesday: Eugene Dinsmore & Jimmy Snuka defeated Rob Conway & Tyson Tomko..
~~~The Fans Chose Eugene’s Partner: 1) Jimmy Snuka (43%), 2) “Hacksaw” Jim Duggan (40%) and 3) Kamala (17%)..
November 7, 2005 – RAW: Tyson Tomko & Gene Snitsky defeated Val Venis & Viscera in a match taped for HEAT..
November 21, 2005 – RAW: Gene Snitsky & Tyson Tomko defeated Mike & Bill Dane in a match taped for HEAT..
November 28, 2005 – RAW: Kane & The Big Show defeated Gene Snitsky & Tyson Tomko to retain the World Tag Team titles! December 5, 2005 – RAW: Kane & Big Show beat Venis & Viscera and Snitsky & Tomko and The Heart Throbs in a 4-WAY tag team match to retain the titles..
December 12, 2005 – RAW: Gene Snitsky & Tyson Tomko defeated The Heart Throbs in a match taped for HEAT..
December 30, 2005 – HEAT: Tyson Tomko defeated Jason Static. January 2, 2006 – RAW: Viscera defeated Tyson Tomko in a match taped for HEAT..
January 9, 2006 – RAW: Tyson Tomko defeated Heart Throb Antonio in a match taped for HEAT..
January 20, 2006 – HEAT: Viscera defeated Tyson Tomko, Gregory Helms and Lance Cade in a 4-way over the top rope challenge to qualify for the Royal Rumble match. January 23, 2006 – RAW: Val Venis & Viscera defeated Gene Snitsky & Tyson Tomko in a match taped for HEAT..
February 3, 2006–Live Event (RAW crew) : “Hacksaw” Jim Duggan defeated Tyson Tomko in Lakeland, Florida. February 6, 2006 – RAW: Val Venis & Viscera beat Snitsky & Tomko and The Heart Throbs in a #1 Contenders match (HEAT)..
February 13, 2006 – RAW: Tyson Tomko & Gene Snitsky defeated Chris Hamrick & Phil Brown in a match taped for HEAT..
February 25, 2006 – House Show: Rob Van Dam defeated Tyson Tomko. March 13, 2006 – RAW: Chavo Guerrero defeated Tyson Tomko in a match taped for HEAT..
April 2, 2006 – Wrestlemania 22: Tyson Tomko was in the dark Wrestlemania pre show battle royal won by Viscera. April 3, 2006: Tyson Tomko quit the WWE with plans to begin wrestling in Japan. 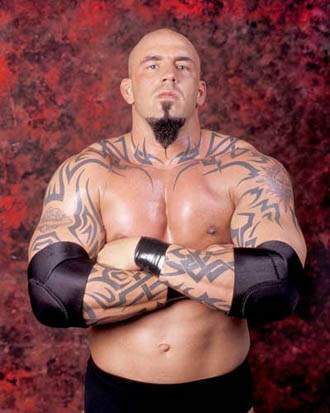 April 15, 2006–World Wrestling Council: Carlito Cool defeated Tyson Tomko in the main event..
April 29, 2006–Maximum Xtreme Pro Wrestling: Tyson Tomko defeated Hack Meyers..
June 3, 2006 – WWC: WWC Puerto Rican champion El Bronco defeated Travis Tomko and Matt Morgan in a 3-way match to retain the title. July 1, 2006 – NJPW: Black Strong Machine, Giant Bernard, Hiroyoshi Tenzan & Travis Tomko defeated Hiroshi Tanahashi, Manabu Nakanishi, Naofumi Yamamoto & Riki Choshu. July 2, 2006 – NJPW: Giant Bernard & Travis Tomko defeated Tomohiro Ishii & Toru Yano in the semi-finals. Shiro Koshinaka & Togi Makabe defeat Giant Bernard & Travis Tomko to win the tournament. July 5, 2006 – NJPW: Akebono, Riki Choshu & Yuji Nagata defeated Black Strong Machine, Hiroyoshi Tenzan & Travis Tomko. July 7, 2006 – NJPW: Giant Bernard, Hiroyoshi Tenzan & Travis Tomko defeated Hiroshi Tanahashi, Manabu Nakanishi & Yuji Nagata. July 8, 2006 – NJPW: Akebono, Hiroshi Tanahashi & Yuji Nagata defeated Giant Bernard, Hiroyoshi Tenzan & Travis Tomko. July 9, 2006 – NJPW: Manabu Nakanishi defeated Travis Tomko. July 11, 2006 – NJPW: Giant Bernard & Travis Tomko defeated Hiroshi Tanahashi & Yuji Nagata. July 12, 2006 – NJPW: Togi Makabe & Travis Tomko defeated Naofumi Yamamoto & Yuji Nagata. July 14, 2006 – NJPW: Akebono, Hiroshi Tanahashi & Yuji Nagata defeated Giant Bernard, Hiroyoshi Tenzan & Travis Tomko. July 15, 2006 – NJPW: Akebono, Hiroshi Tanahashi, Riki Choshu & Yuji Nagata defeated Black Strong Machine, Giant Bernard, Hiroyoshi Tenzan & Travis Tomko. July 16, 2006 – NJPW: Giant Bernard & Travis Tomko defeated Hiroshi Tanahashi & Naofumi Yamamoto. July 17, 2006 – NJPW: Yuji Nagato defeated Travis Tomko in the 1st round. July 19, 2006 – NJPW: Hiroshi Tanahashi & Yuji Nagata defeated Hiroyoshi Tenzan & Travis Tomko. August 10, 2006 – WWC: Bryan defeated Travis Tomko. August 11, 2006 – WWC: Carlito Cool and Eddie Colon defeated Travis Tomko and Orlando Jordan. September 6, 2006 – NJPW: Hiroyoshi Tenzan & Travis Tomko defeated Tomohiro Ishii & Toru Yano. September 8, 2006 – NJPW: Giant Bernard & Travis Tomko defeated Manabu Nakanishi & Naofumi Yamamoto. September 9, 2006 – NJPW: Shiro Koshinaka & Togi Makabe defeated Hiroyoshi Tenzan & Travis Tomko. September 12, 2006 – NJPW: Hiroshi Tanahashi, Naofumi Yamamoto & Yuji Nagata defeated Black Strong Machine, Hiroyoshi Tenzan & Travis Tomko. September 13, 2006 – NJPW: Hiroyoshi Tenzan, Milano Collection AT & Travis Tomko defeated El Samurai, Riki Choshu & Takashi Iizuka. September 14, 2006 – NJPW: Giant Bernard, Masahiro Chono & Travis Tomko defeated Akebono, Naofumi Yamamoto & Yuji Nagata. September 15, 2006 – NJPW: Hiroshi Tanahashi & Manabu Nakanishi defeated Hiroyoshi Tenzan & Travis Tomko. September 16, 2006 – NJPW: Hiroyoshi Tenzan & Travis Tomko defeated Manabu Nakanishi & Naofumi Yamamoto. September 18, 2006 – NJPW: Masahiro Chono, Milano Collection AT & Travis Tomko defeated Akebono, Manabu Nakanishi & Naofumi Yamamoto. September 24, 2006 – NJPW: Akebono & Yoshihiro Takayama defeated Giant Bernard & Travis Tomko. October 15, 2006 – NJPW: Manabu Nakanishi & Naofumi Yamamoto defeated Giant Bernard & Travis Tomko. October 16, 2006 – NJPW: Giant Bernard & Travis Tomko defeated Hiroshi Tanahashi & Koji Kanemoto. October 17, 2006 – NJPW: Akebono, Hiroshi Tanahashi & Yuji Nagata defeated Black Strong Machine, Giant Bernard & Travis Tomko. October 18, 2006 – NJPW: Shiro Koshinaka & Togi Makabe defeated Black Strong Machine & Travis Tomko. October 19, 2006 – NJPW: Akebono defeated Travis Tomko. October 22, 2006 – NJPW: Giant Bernard & Travis Tomko defeated Manabu Nakanishi & Ryusuke Taguchi. October 24, 2006 – NJPW: Travis Tomko defeated Takashi Uwano. October 26, 2006 – NJPW: Giant Bernard & Travis Tomko defeated Hiroyoshi Tenzan & Jushin Thunder Liger. October 28, 2006 – NJPW: Giant Bernard & Travis Tomko defeated Tomohiro Ishii & Toru Yano. October 29, 2006 – NJPW: Hiroyoshi Tenzan , Shiro Koshinaka, Togi Makabe & Toru Yano defeated Masahiro Chono , Giant Bernard, Shinsuke Nakamura & Travis Tomko. November 3, 2006 – NJPW: Giant Bernard & Travis Tomko defeated Hiroyoshi Tenzan & Toru Yano. November 5, 2006 – NJPW: Giant Bernard & Travis Tomko defeated Manabu Nakanishi & Takashi Uwano. November 6, 2006 – NJPW: Masahiro Chono & Shinsuke Nakamura defeated Giant Bernard & Travis Tomko in the semi-finals. November 25, 2006 – NJPW: Giant Bernard & Travis Tomko defeated Takashi Iizuka & Yuji Nagata. November 26, 2006 – NJPW: Akebono, Riki Choshu & Yuji Nagata defeated Giant Bernard, Masahiro Chono & Travis Tomko. November 29, 2006 – NJPW: Hiroshi Tanahashi & Yuji Nagata defeated Shinsuke Nakamura & Travis Tomko. December 5, 2006 – NJPW: Giant Bernard, Masahiro Chono, Shinsuke Nakamura & Travis Tomko defeated Hiroyoshi Tenzan, Shiro Koshinaka, Togi Makabe & Toru Yano. December 7, 2006 – NJPW: Giant Bernard, Masahiro Chono & Travis Tomko defeated Manabu Nakanishi, Naofumi Yamamoto & Yuji Nagata. November 23, 2006 – TNA iMPACT: Sting vs Christian Cage ended in a No Contest when Tomko (debut) helped Cage destroy Sting..
November 30, 2006 – TNA iMPACT: Christian Cage claimed that Tomko knew a secret from the past of NWA Champion Abyss..
December 7, 2006 – TNA iMPACT: Christian Cage & Tomko double-teamed NWA Champion Abyss until Sting made the save! January 11, 2007 – TNA iMPACT: Abyss w/Father James Mitchell defeated Tomko by disqualification when Christian Cage interfered..
~~~Christian Cage WAS locked in a cage guarded by Kurt Angle but Samoa Joe attacked Angle and Christian escaped..
January 27, 2007 – NJPW: Manabu Nakanishi defeated Travis Tomko. January 28, 2007 – NJPW: Shinsuke Nakamura & Travis Tomko defeated Tomohiro Ishii & Toru Yano. January 29, 2007 – NJPW: Hiroyoshi Tenzan & Tomohiro Ishii defeated Milano Collection AT & Travis Tomko. January 31, 2007 – NJPW: Travis Tomko defeated Togi Makabe by disqualification. February 2, 2007 – NJPW: Hiroshi Tanahashi & Yuji Nagata defeated Shinsuke Nakamura & Travis Tomko. February 6, 2007 – NJPW: Travis Tomko defeated Toru Yano. February 9, 2007 – NJPW: Tomohiro Ishii & Toru Yano defeated Prince Devitt & Travis Tomko. February 15, 2007 – TNA iMPACT: Tomko participated in a #1 Contenders Gauntlet Match (Eliminated by Samoa Joe)..
February 15, 2007 – NJPW: Giant Bernard, Shinsuke Nakamura & Travis Tomko defeated Hiroyoshi Tenzan, Togi Makabe & Toru Yano by disqualification. February 18, 2007 – NJPW: Kurt Angle & Yuji Nagata defeated Giant Bernard & Travis Tomko. March 8, 2007 – TNA iMPACT: Kurt Angle & Samoa Joe & Rhino defeated Christian Cage & Scott Steiner & Tomko by disqualification..
March 3, 2007 – NJPW: Togi Makabe defeated Travis Tomko in the 1st round. March 4, 2007 – NJPW: Giant Bernard, Shinsuke Nakamura & Travis Tomko defeated Manabu Nakanishi, Riki Choshu & Takashi Uwano. March 6, 2007 – NJPW: Hiroyoshi Tenzan, Togi Makabe, Tomohiro Ishii & Toru Yano defeated Giant Bernard, Masahiro Chono, Milano Collection AT & Travis Tomko. March 9, 2007 – NJPW: Giant Bernard, Masahiro Chono & Travis Tomko defeated Hiroyoshi Tenzan, Shiro Koshinaka & Togi Makabe. March 10, 2007 – NJPW: Hiroshi Tanahashi, Riki Choshu & Yuji Nagata defeated Black Strong Machine, Giant Bernard & Travis Tomko. March 11, 2007–NJPW: Tyson Tomko & Giant Bernard defeated Manabu Nakanishi & Takao Omori to win the IWGP Tag Team titles..
March 13, 2007–NJPW: Black Strong Machine, Shinsuke Nakamura & Travis Tomko defeated Shiro Koshinaka, Togi Makabe & Tomohiro Ishii by disqualification. March 15, 2007–NJPW: Giant Bernard, Masahiro Chono & Travis Tomko defeated Hiroshi Tanahashi, Manabu Nakanishi & Yuji Nagata. March 18, 2007–NJPW: Hiroshi Tanahashi & Manabu Nakanishi defeated Black Strong Machine & Travis Tomko. March 21, 2007–NJPW: Masahiro Chono & Travis Tomko defeated Hiroyoshi Tenzan & Tomohiro Ishii. March 29, 2007 – TNA iMPACT: Kurt Angle defeated Abyss in a “Winner Gets Tomko’s Services at Lockdown” match..
~~~After the match: Tomko hit the ring and raised Kurt Angle’s arm but then knocked him out and joined Team Cage! April 5, 2007 – TNA iMPACT: Rhino (Team Angle) defeated Tomko (Team Cage) in an 8-Mile Street Fight..
April 7, 2007–NJPW: Shinsuke Nakamura & Travis Tomko defeated Hiroyoshi Tenzan & Togi Makabe. April 8, 2007–NJPW: Hiroyoshi Tenzan & Toru Yano defeated Black Strong Machine & Travis Tomko. April 9, 2007–NJPW: Orlando Jordan & Travis Tomko defeated Togi Makabe & Toru Yano. April 13, 2007–NJPW: Giant Bernard & Travis Tomko beat Hiroyoshi Tenzan & Shiro Koshinaka to retain the Tag Team titles..
April 15, 2007 – TNA Lockdown: Team Angle defeated Team Cage in a Lethal Lockdown (War Games Style) match..
~~~~~~~~~Team Cage = Christian Cage & A.J. Styles & Scott Steiner & Tomko & Abyss w/Father James Mitchell..
~~~~~~~~~Team Angle = Kurt Angle & Samoa Joe & Rhino & Sting & Jeff Jarrett — Sting defeated Abyss to win!! April 19, 2007 – TNA iMPACT: Team 3-D (Brothers Ray & Devon) defeated Christian Cage & Abyss w/Father James Mitchell..
April 26, 2007 – TNA iMPACT: Team 3-D defeated Scott Steiner & Tomko with help from LAX to retain the NWA Tag Team titles..
May 3, 2007–NJPW: Giant Bernard & Travis Tomko beat Yuji Nagata & Takashi Iizuka to retain the IWGP Tag Team titles..
May 2, 2007 – NJPW: BLACK (Black Strong Machine, Giant Bernard & Travis Tomko) defeated Great Bash Heel (Togi Makabe, Tomoaki Honma & Tomohiro Ishii). May 13, 2007 – TNA Sacrifice: Team 3-D defeated LAX and Scott Steiner & Tomko in a 3-WAY to retain the Tag Team titles! May 24, 2007 – TNA iMPACT: Christian Cage & Tomko defeated Homicide & Hernandez w/Konnan with help from Hector Guerrero..
May 31, 2007 – TNA iMPACT: A.J. Styles defeated Tomko (sub for Jeff Jarrett) in a King of the Mountain Qualifying match..
June 7, 2007 – TNA iMPACT: Tomko wanted to “kill” Christian, but Cage somehow convinced him to stay on Team Cage’s side..
June 14, 2007 – TNA iMPACT: A.J. Styles & Samoa Joe & Kurt Angle defeated Tomko & Rhino & Sting in a Redemption match..
~~~Tomko was taken out before the match by a mystery man, who was later revealed to be the return of “The Monster” Abyss..
June 17, 2007 – TNA Slammiversary: “The Monster” Abyss defeated Tomko in a brutal No-DQ Grudge match that “Stole The Show”..
July 6, 2007 – NJPW: BLACK (Giant Bernard, Shinsuke Nakamura & Travis Tomko) defeated Hiroshi Tanahashi, Manabu Nakanishi & Naofumi Yamamoto. July 8, 2007 – NJPW: IWGP tag team champions Giant Bernard & Travis Tomko defeated New Japan Dragons (Hiroshi Tanahashi & Naofumi Yamamoto) to retain the titles. July 10, 2007 – NJPW: BLACK (Giant Bernard, Milano Collection AT, Shinsuke Nakamura & Travis Tomko) defeated Great Bash Heel (Hiroyoshi Tenzan, Shiro Koshinaka, Togi Makabe & Tomohiro Ishii). July 12, 2007 – NJPW: Hiroshi Tanahashi, Manabu Nakanishi, Naofumi Yamamoto & Yuji Nagata defeated BLACK (Giant Bernard, Orlando Jordan, Shinsuke Nakamura & Travis Tomko). July 12, 2007 – TNA iMPACT: Kurt Angle & Samoa Joe & Team 3-D beat Christian Cage & A.J. Styles & Tomko & Robert Roode..
July 13, 2007 – NJPW: BLACK (Masahiro Chono & Travis Tomko) defeated Great Bash Heel (Shiro Koshinaka & Toru Yano). July 15, 2007 – TNA Victory Road: Sting & Abyss defeated A.J. Styles & Tomko in a tag team grudge match..
August 12, 2007 – TNA Hard Justice: Sting & Abyss & Andrew Martin defeated Christian Cage & A.J. Styles & Tomko..
~~~This was a Doomsday Chamber of Blood that ended with Abyss pinning A.J. Styles and earning a future title shot! August 23, 2007 – TNA iMPACT: A.J. Styles & Tomko sneak attacked Samoa Joe. Christian Cage whacked Joe with a steel chair! September 6, 2007 – TNA iMPACT: Tomko defeated Kaz (Frankie Kazarian)..
September 9, 2007 – TNA No Surrender: A.J. Styles & Tomko won a Gauntlet Match to earn a future shot at the Tag Team titles..
September 13, 2007 – NJPW: Giant Bernard & Travis Tomko defeated Great Bash Heel (Togi Makabe & Tomoaki Honma). September 14, 2007 – NJPW: Manabu Nakanishi, Takashi Iizuka & Yuji Nagata defeated Giant Bernard, Milano Collection AT & Travis Tomko. September 15, 2007 – NJPW: Giant Bernard, Milano Collection AT & Travis Tomko defeated Manabu Nakanishi, Naofumi Yamamoto & Yuji Nagata. September 17, 2007 – NJPW: Giant Bernard, Milano Collection AT & Travis Tomko defeated Manabu Nakanishi, Naofumi Yamamoto & Yujiro. September 19, 2007 – NJPW: Hirooki Goto & Travis Tomko defeated Great Bash Heel (Hiroyoshi Tenzan & Tomohiro Ishii). September 20, 2007 – TNA iMPACT: Ron “the Truth” Killings w/Adam “Pacman” Jones defeated A.J. Styles w/Tomko..
September 22, 2007 – NJPW: Manabu Nakanishi, Naofumi Yamamoto & Yuji Nagata defeated Giant Bernard, Milano Collection AT & Travis Tomko. September 24, 2007 – NJPW: IWGP tag team champions Giant Bernard & Travis Tomko defeated Manabu Nakanishi & Yuji Nagata to retain the titles. September 30, 2007 – NJPW: Giant Bernard & Travis Tomko defeated Great Bash Heel (Togi Makabe & Toru Yano). October 14, 2007 – TNA Bound For Glory: A.J. Styles & Tomko beat Ron Killings & Consequences Creed to win the Tag Team titles! October 18, 2007 – TNA iMPACT: A.J. Styles & Tomko were presented with the TNA Tag Team belts during the “Parade of Champions”..
October 20, 2007 – NJPW: Giant Bernard & Travis Tomko defeated Gedo & Jado. October 21, 2007 – NJPW: Manabu Nakanishi & Yuji Nagata defeated Giant Bernard & Travis Tomko. October 22, 2007 – NJPW: Giant Bernard & Travis Tomko defeated Great Bash Heel (Tomoaki Honma & Tomohiro Ishii). October 23, 2007 – NJPW: Giant Bernard & Travis Tomko defeated Hirooki Goto & Milano Collection AT. October 24, 2007 – NJPW: Naofumi Yamamoto & Takashi Iizuka defeated Giant Bernard & Travis Tomko. October 26, 2007 – NJPW: Giant Bernard & Travis Tomko defeated Hiroshi Tanahashi & Koji Kanemoto. October 27, 2007 – NJPW: Giant Bernard, Minoru & Travis Tomko defeated Naofumi Yamamoto, Ryusuke Taguchi & Takashi Iizuka. October 28, 2007 – NJPW: Giant Bernard & Travis Tomko defeated Akebono & Masahiro Chono. November 1, 2007 – TNA iMPACT: A.J. Styles & Tomko defeated Homicide & Hernandez to retain the TNA World Tag Team titles..
November 2, 2007 – NJPW: Giant Bernard & Travis Tomko defeated Great Bash Heel (Togi Makabe & Toru Yano) in the semi-finals. Giant Bernard & Travis Tomko defeated Hiroshi Tanahashi & Koji Kanemoto to win the G1 Tag League 2007. November 3, 2007 – NJPW: Giant Bernard & Travis Tomko defeated Great Bash Heel (Togi Makabe & Tomoaki Honma). November 11, 2007 – TNA Genesis: A.J. Styles & Tomko defeated The Steiner Brothers to retain the TNA World Tag Team titles..
November 29, 2007 – TNA iMPACT: Samoa Joe & Kaz & S.Steiner & Abyss beat Kurt Angle & AJ Styles & Tomko & Christian..
December 2, 2007 – TNA Turning Point: Kevin Nash & Samoa Joe & Eric Young defeated Kurt Angle & A.J. Styles & Tomko..
December 6, 2007 – TNA iMPACT: Samoa Joe & Kevin Nash & Booker T & Kaz & Eric Young defeated The Angle Alliance..
~~~Angle Alliance = Kurt Angle (w/Karen Angle) & Tomko & A.J. Styles & Christian Cage & Robert Roode (w/Tracy Brooks)..
December 7, 2007 – NJPW: Giant Bernard & Travis Tomko defeated Takashi Iizuka & Yuji Nagata. December 8, 2007 – NJPW: Giant Bernard & Travis Tomko defeated Hiroshi Tanahashi & Yuji Nagata. December 9, 2007 – NJPW: Yuji Nagata defeated Travis Tomko. December 27, 2007 – TNA iMPACT: Alex Shelley & Chris Sabin defeated A.J. Styles & Tomko (Champions) in a Non-title match..
January 3, 2008 – TNA iMPACT: Tomko said he wouldn’t take a bullet for Kurt Angle or Christian Cage and will look out for himself..
January 4, 2008 – NJPW: IWGP tag team champions Giant Bernard & Travis Tomko defeated The Steiner Brothers (Rick Steiner & Scott Steiner) to retain the titles. January 6, 2008 – TNA Final Resolution: A.J. Styles & Tomko beat Samoa Joe & Kevin Nash to retain the TNA Tag Team titles..
January 10, 2008 – TNA iMPACT: Tomko defeated Shark Boy (in bandages)..
January 17, 2008 – TNA iMPACT: Tomko defeated “Showtime” Eric Young..
January 24, 2008 – TNA iMPACT: Tomko & A.J. Styles beat Team 3-D and Sabin/Shelley to retain the TNA World Tag Team titles! ~~~Karen Angle got knocked down so A.J. Styles picked her up and carried her backstage to medics (ah la MegaPowers 1989)..
~~~Tomko managed to still win the match by himself and shoved A.J. Styles down when he ran back to the ring after the match..
January 31, 2008 – TNA iMPACT: Tomko defeated TNA World Champion Kurt Angle w/Karen Angle in a Non-title match..
~~~A.J. Styles was forced to be the special referee and was ordered by Jim Cornette to count the three or else he would be fired! February 2, 2008 – NJPW: Giant Bernard & Travis Tomko defeated Gedo & Jado. February 3, 2008 – NJPW: RISE (Giant Bernard & Travis Tomko) defeated Great Bash Heel (Tomoaki Honma & Tomohiro Ishii). ~~~After the match: Kurt Angle & A.J. Styles double-teamed Christian Cage until Tomko came down to make the save! 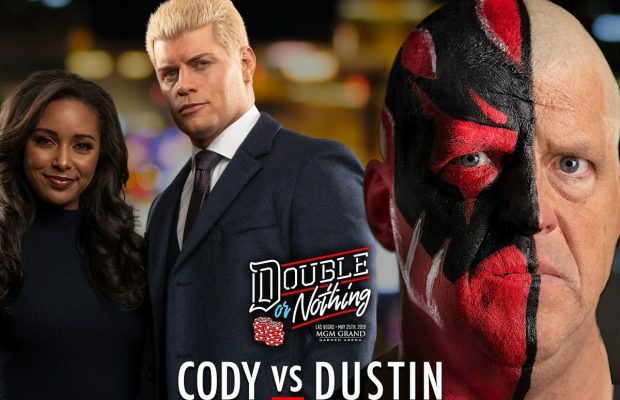 February 10, 2008 – TNA Against All Odds: A.J. Styles & Tomko beat B.G. James & Bullet Bob to retain the TNA Tag Team titles..
~~~IN THE MAIN EVENT: Kurt Angle w/Karen Angle defeated Christian Cage to retain the TNA World Heavyweight title..
February 14, 2008 – TNA iMPACT: A.J. Styles & Tomko defeated Samoa Joe & Kevin Nash with help from Kurt Angle..
February 16, 2008 – IGF: Tomko defeated Alexander Otsuka. February 17, 2008 – NJPW: Great Bash Heel (Togi Makabe & Toru Yano) defeated RISE (Giant Bernard & Travis Tomko) to win the IWGP tag team titles. March 6, 2008 – TNA iMPACT: Kevin Nash beat A.J. Styles in a Street Fight | Tomko beat Samoa Joe in a First Blood match..
~~~Christian Cage defeated TNA World Champion Kurt Angle in a Steel Cage to earn a “man advantage” at Destination-X..
March 9, 2008 – TNA Destination-X: Samoa Joe & Kevin Nash & Christian Cage defeated Kurt Angle & A.J. Styles & Tomko..
~~~The Unlikely Alliance (Joe/Nash/Cage) earned a man advantage so TNA Champion Kurt Angle sat out the first five minutes..
March 13, 2008 – TNA iMPACT: Christian Cage and Tomko were named captains for the upcoming Lethal Lockdown match..
~~~MAIN EVENT: Christian Cage & Kevin Nash defeated A.J. Styles & Tomko by Disqualification when Team 3-D interfered..
~~~Christian Cage & Rhino defeated Team 3-D by DQ when Tomko & A.J. Styles interfered (Sting’s music played after the match)..
March 27, 2008 – TNA iMPACT: Kurt Angle had a series of sparring sessions with his two stable-mates, A.J. Styles & Tomko..
~~~Christian Cage & Kevin Nash & Rhino attacked Styles & Tomko – Team 3-D helped the heels until Sting made the big save! ~~~MAIN EVENT: Christian Cage & Sting & Rhino & Kevin Nash defeated Tomko & A.J. Styles & Team 3-D (Ray & Devon)..
April 3, 2008 – TNA iMPACT: Tomko & A.J. Styles defeated Christian Cage & Rhino by DQ after Rhino GOREd the referee..
April 13, 2008 – TNA Lockdown: Team Cage defeated Team Tomko in a Lethal Lockdown (War Games/Six Sides of Steel) Match..
~~~Christian Cage & Kevin Nash & Rhino & Sting & Matt Morgan defeated Tomko & A.J. Styles & Team 3-D & James Storm..
~~~Cage & Styles climbed a ladder on top of the cage and went through a table on the roof when James Storm pushed it over! April 17, 2008 – TNA iMPACT: Super Eric & Kaz defeated A.J. Styles & Tomko and LAX in a 3-WAY to win the Tag Team titles! ~~~Eric Young & Kaz were stripped because A.J. Styles & Tomko claimed that Super Eric was not a legal participant in the match..
Tomko was suspended for a month for an unidentified reason so he went to wrestle in Japan for a couple weeks..
May 29, 2008 – TNA iMPACT: Christian Cage defeated Tomko in a King of the Mountain Qualifying match..
June 5, 2008 – TNA iMPACT: A.J. Styles defeated Tomko in a Super Grudge match with Kevin Nash as special enforcer..
June 26, 2008 – TNA iMPACT: Tomko assisted Team 3-D in putting Christian Cage through a glass table in the ring! July 10, 2008 – TNA iMPACT: Petey Williams & Tomko & Kip James defeated BG James & Eric Young & Matt Morgan..
July 31, 2008 – TNA iMPACT: Tomko showed up to harass Karen Angle about cheating on Kurt Angle with A.J. Styles..
August 7, 2008 – TNA iMPACT: Participated in an 8-Man Dual Entrance Weapons Gauntlet Over-The-Top Elimination match..
~~A.J. Styles & Matt Morgan & B.G. James & Samoa Joe (Joe survived!) beat Kurt Angle & Tomko & Kip James & Booker T..
September 11, 2008 – TNA iMPACT: Samoa Joe defeated Tomko in Match #3 of Kevin Nash’s “Challenge” for Joe..
November 2008: Tomko signed a contract and will be returning to the World Wrestling Entertainment..
December 15, 2008–SmackDown! : Travis Tomko defeated Paul Burchill in a dark match..
Late 2008: Tyson Tomko suffered a tear in the back of his deltoid which requires surgery and delay his debut with WWE..
March 2009: Tyson Tomko was released from his World Wrestling Entertainment contract while rehabbing his injury..
June 2009: Tyson Tomko resurfaced in Japan working for HUSTLE in a tag team called Armageddon with Rene Dupree..
June 25, 2009 – Hustle: Arma and Gedon defeated TAJIRI and Bono-Kun. June 27, 2009 – Hustle: Arma, Gedon and Toshiaki Kawada defeated Genichiro Tenryu, Shiro Koshinaka and Magnum TOKYO. July 5, 2009 – Hustle: Bono-Kun, Genichiro Tenryu, Magnum TOKYO, Shiro Koshinaka and TAJIRI defeated Arma, Commander An Jo, Gedon, Rey Ohara and Toshiaki Kawada. July 26, 2009 – Hustle: Bono-Kun and Genichiro Tenryu defeated Arma and Gedon. July 30, 2009 – Hustle Tour Day 14: Rene Bonaporte defeated Arma. November 19, 2009 – TNA iMPACT: Tomko returned to TNA and said he would step it up just like Dixie Carter told the roster..
January 14, 2010 – TNA iMPACT: Kurt Angle & A.J. Styles shook hands, but then the mysterio attacker revealed himself as Tomko! ~~~A.J. Styles defeated Tomko to retain the World Heavyweight title with Kurt Angle doing commentary and Ric Flair watching..
February 4, 2010 – TNA iMPACT: Kurt Angle defeated Tomko in an Eight Card Studd Qualifying match..
March 4, 2010 – TNA iMPACT: Jeff Jarrett (with an “injured” shoulder) defeated Tomko..
March 22, 2010 – TNA iMPACT: Big Rob Terry defeated Tomko to retain the TNA Global title..
May 13, 2010 – TNA iMPACT: Orlando Jordan defeated Tomko..
August 19, 2010 – TNA: Tomko’s profile was removed from TNA Wrestling. August 13, 2011 – CCW: JT Flash, Sally Boy and Tomko defeated Shane McLane, Aleksander Chekov and Mikhail Ivanov. September 6, 2011 – FUW: Michael Tarver defeated Tomko. September 17, 2011 – FUW: Tomko defeated Kennedy Kendrick. August 4, 2013 – FUW: Tomko defeated Deimos. August 11, 2013 – Ring Warriors: Tomko defeated Michael Sain. August 31, 2013 – USA Pro Wrestling Wrestlefest: Tyson Tomko defeated Manny Fernandez. September 26, 2013 – Ring Warriors: Tomko vs. QT Marshall ended in a double count-out. November 1, 2013 – NWA FUW: Tomko vs. NWA FUW Bruiserweight champion Bruce Santee ended in a no contest. November 2, 2013 – NWA FUW: Tomko defeated Romeo Razel. November 17, 2013 – Ring Warriors: Tomko defeated Brodie Hollister. Tomko defeated QT Marshall by disqualification. QT Marshall and Steve Corino defeated Tomko and Bruce Santee.